It can be said that both combination and oily skin are most prone to both acne and blemish. Ever since hitting adolescence, I’ve struggled with problematic blemished skin. I’ve heard that dairy is the culprit, while others say genetic predisposition is to blame. I’ve recently cauterised some tiny moles on my face (to my regret) they were flat moles, not raised ones- which is a big no-no. The doctor dug holes into my face with the blazing hot metal contraption, and they are now nowhere pretty. Two months later, the scars have turned brown and there’s indentations, worsening its aesthetic- making it worst than actually having those moles to begin with. Call it vanity or superstition if you may, since in Chinese culture we believe that some moles are bad for you. My mother calls them “tear moles”, to signify the moles underneath the eye area. I wished I was less superstitious and would have gone with my gut feeling. I regret having them removed, but it’s done and there’s no way of undoing it. Lesson learned. I then started desperately seeking ways to lighten my scars. I would advise it’s best to combine all of these to really help lighten your scars. It’s essentially micro-needling, definitely not for the faint hearted. To put it simply, it makes micro punctures in the skin which sends the body into healing mode. It induces the production of collagen and elastic, therefore ‘repairing’ the treated area. Different needle lengths equals to different uses i.e. : shorter lengths 0.1-0.3mm helps with product penetration, 0.5mm-1.0mm helps with pores, light scars, hyperpigmentation, age spots, whereas longer needles lengths help with deep scars and stretch marks. Make sure to thoroughly clean your skin prior to commencing the treatment. Apply light pressure and adjust accordingly to your comfort level. Make sure not to drag when changing directions. Also make sure you apply either a Vitamin C serum, peptide renewal serum post dermarolling. It increases serum absorption up to 90%. That’s seriously giving a massive bang for your buck. Do this every 4-6 weeks and be sure never to overdo it as this may actually break down your skin’s collagen. If you are new to dermaroll, I would advise that you practice with caution. The splash mask/ patting water pack is essentially a mask in 15 seconds. The product is rich with lactic acid which not only helps with cell turnover but also gives your skin a healthy glow as a result. Lactic acid is also great at lightening hyper-pigmentation, acne scars and evening out the color of your skin. This product incredibility useful, not only for exfoliating dead skin cells, but also control sebum production, Meaning, you would notice less blackheads and whiteheads around your T-zone area. This way it not only helps with by evening out your skin tone but also prevent from breakouts. It’s most useful especially after dermaroller during the phase where your skin would start shedding dead skin cells during the cell turnover period. There are also other brands such as The Ordinary which provides Lactic Acid in the form of a serum. Salicylic acid is a type of beta-hydroxy acid (BHA). It targets the deeper layers of the skin and even soothes the skin and calms inflammation. It works by dissolving skin debris which clogs the pores and causes acne. It is perfect for those who suffer from milder forms of acne. The best part is that salicylic acid also helps reduce the appearance of dilated pores. However, it may take 3-4 weeks weeks for any noticeable results. 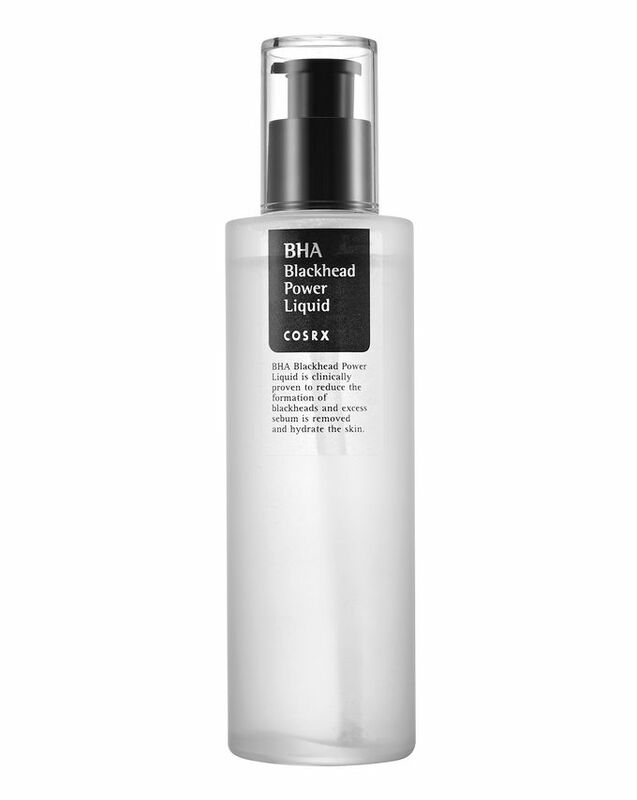 COSRX’s BHA Blackhead Power Liquid is possibly one of the most effective product currently in the market. This is more of an essence than a toner, therefore a thicker consistency. I noticed that even after double cleansing, when I would use this product with a cotton pad, I can still visibly see dirt and dead skin cells being removed from my skin upon application. It contains 4% of Salicylic Acid and niacinamide, which is not only nourishing, helps prevent breakouts but also purifies pores and brightens dark spots. When it comes to acne scarring, glycolic acid ingredient still reigns supreme. It works as a powerful exfoliant which also evens out the scar. It is the perfect solution for wrinkles and pigmentation as it targets towards the surface of the skin. 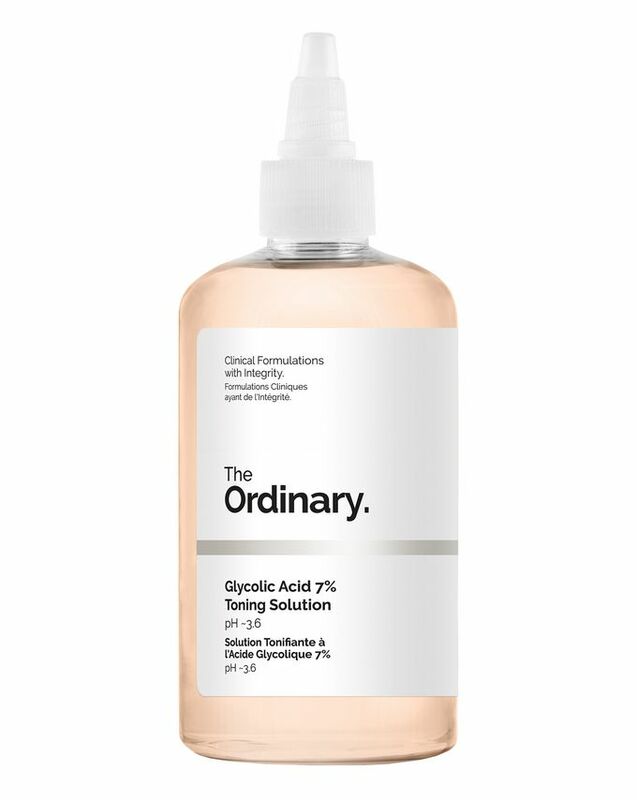 There are a number of brands that provides glycol acid in the from of a toner for example; Pixi Beauty’s Glow Tonic and The Ordinary’s Glycolic Acid 7%. As a rule of thumb always incorporate acids into your PM routine, however if you’re using SPF during the day then you can use acids during the day as well. Just make sure that you do not spend long hours under the sun. In order to understand how glycolic acid helps acne scars, we first must understand the definition and composition of the chemical itself. Glycolic acid, also known as hydroxyacetic acid, the smallest member of the alpha-hydroxy acid (AHA) family. It is colorless and odorless, and is known for its high solubility in water. Since its penetration ability is so powerful, glycolic acid is often used in professional chemical peels. It is so effective that scars have reportedly become flatter and less visible with the use of a glycolic acid product for 6 months to a year. If you are considering something a little more ‘natural’ this combination is pure magic! It is an excellent wound-healing and anti-inflammatory remedy. It helps with lightening existing pigmentation and preventing new blemishes from forming. However, make sure either of the oils are infused in a carrier oil that is suited for your skin type. I only managed to buy a 10% Helichrysum Essential Oil concentration + Jojoba Oil from Now Foods. However, this is still sufficient and you would be able to start noticing a difference after 3-4 months. Next Post Beauty Terms Decoded: What do they even mean?